The Valley Heights Cross Country team is at the halfway point of their season and the have seen plenty of success through the first four meets. Coach White and the runners started off the year at the Marysville Country Club for the Marysville Meet. Alex Hardin, Sr., was the only runner from the boys' team that placed by finishing 4th. The girls side of the meet saw two Valley Heights runners place with Abby Lister, So., finishing 5th and Sam Hardin, So., getting 15th. Cedar Hills Golf Course was the site of the next meet for the Mustangs, where they competed at the Washington County Meet. A. Hardin and Lister both finished in the top five by placing 1st and 5th. Jasmine Gartner finished in 3rd place in the Junior Varsity race. The following week, Cool Springs Golf Course in Onaga was the next race for Valley Heights. A. Hardin and Lister again received medals for their performances at the meet, with A. Hardin getting 5th and Lister placing 18th. After running at Onaga, the team traveled to Seneca for the Nemaha Central Meet held at Spring Creek Golf Course. In the boys race, A. Hardin racked up another top five performance for the season with a 3rd place finish. Lister was the lone medalist for the girls’ varsity runners by placing 9th in Seneca, while Gartner finished 5th in the Junior Varsity race. 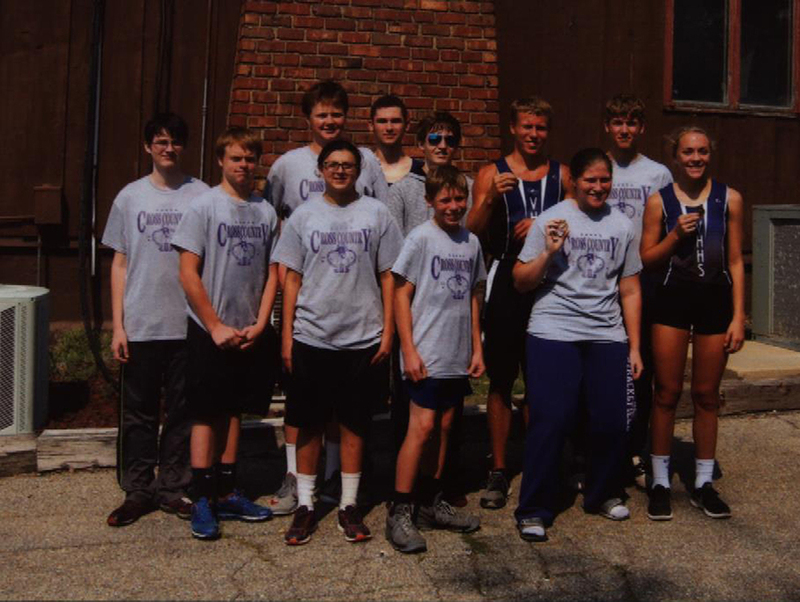 In the most recent race, the Centralia Meet at Centralia Lake, A. Hardin finished 3rd in the boys race and Lister and S. Hardin finished 3rd and 18th in the girls race. At this meet Lister broke the Valley Heights Girls Cross Country Record with a time of 22:36. “In the first half of the season the team is off to an amazing start. We have had a few runners consistently placing and everyone is improving their times from week to week,” said A. Hardin. With only four meets remaining on the schedule for Valley Heights before State, chances to see your local runners in action are running out. These remaining meets are the Riley County Meet at Leonardville Golf Course, Oct. 7, TVL at Centralia Lake, Oct. 12, and Regionals Meet on Oct. 21. The site and time for the 2A Regional Meet will be released by KSHSAA at a later date. Keep up to date with results from their meets on the USD 498 Valley Heights website or app.